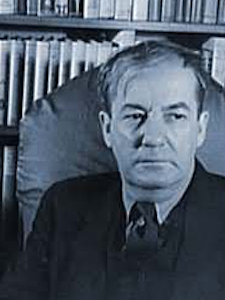 Sherwood Anderson (1876 - 1941) was an American writer whose meticulous character development earned him recognition as a "writer's writer." Like a number of other famous writers such as Anton Chekhov, Charles Dickens, and Louisa May Alcott, Sherwood's childhood and adolescence knew family hardship. When his father's business failed, the family moved constantly and his mother became an alcoholic. As a result of these hardships, Anderson left school at the age of fourteen in order to help with the family finances. 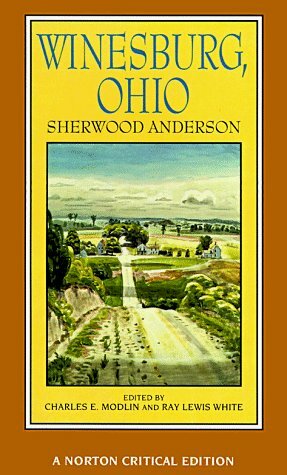 Anderson is best known for his short stories, particularly his collection published as Winesburg, Ohio (1919). His characters (whom in his first story, the writer calls "grotesques") transform experiences into truths, which can be built-up, and once embraced, turn to falsehoods. He almost lovingly writes about his own collection of "grotesques," using a writing style often compared to his literary predecessor, William Dean Howells, as naturalism. Anderson invites the reader into his process as a writer, in which he unfolds his characters' views of the world, intertwined as they are, in a small midwestern town. His appealing style influenced many other writers, including Willa Cather, Henry James, and Ernest Hemingway, and William Faulkner, among others. While Winesburg, Ohio is not without critics, it will always be a favorite of mine. I was a willing reader and bought into every character and every sketch narrator George Willard spun. In a tribute to Anderson's talents, I also recall being acutely aware of the author's control as I read through the stories and afterward I may have spent as much time thinking about the man who wrote them as the stories themselves. While there will always be many things we cannot know about a writer like Anderson, we can be certain that he was a man capable of writing with great empathy. If you have not read Winesburg, Ohio, I encourage you to do so.